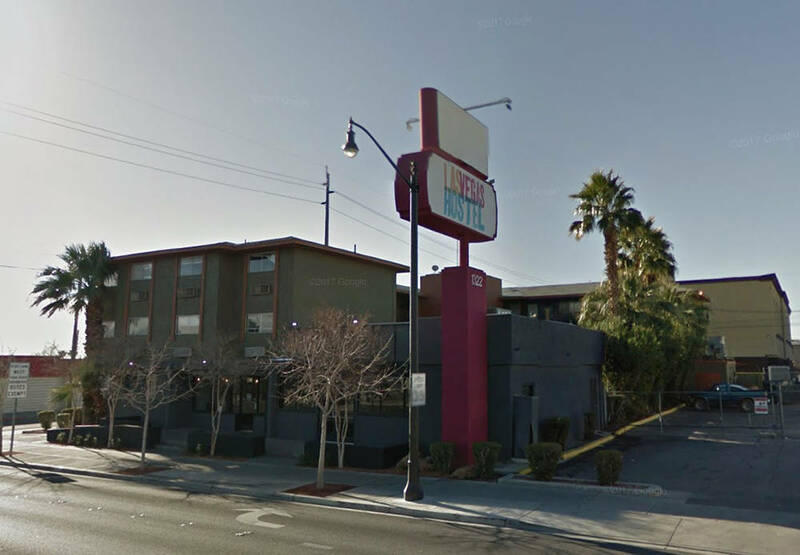 Primavera Pizza leased 1,500 square feet of retail space at Las Vegas Hostel, 1322 Fremont St. Robert S Hatrak II represented both the tenant and the landlord, DT Commercial LLC. ▶ JD Stairs Inc. purchased 37,130 square feet of industrial space at 4181 W. Oquendo Road for $3,425,000. Dean Willmore and Chelsy Cardin of Colliers International represented the seller. Brian Riffel and Tyler Jones of Colliers International represented the buyer. ▶ Branmark Group LLC purchased 0.16 acre of land parcel at 222 W. Cleveland Ave. for $155,000. Vince Schettler of Colliers International represented the seller. ▶ Dimensions Design Inc. leased 21,600 square feet of industrial space at Arrowhead Commerce Center, Building 9, 6180 S. Pearl St., Suite E. Pat Marsh and Sam Newman of Colliers International represented the tenant. Spencer Pinter, Dan Doherty, Chris Lane and Jerry Doty of Colliers International represented the landlord, KTR LV I LLC. ▶ Game Changer Sports Inc. leased 20,000 square feet of retail space at the Halloween Mart retail building, 6230 S. Decatur Blvd. Eric Molfetta and Chris Zunis of Colliers International represented the landlord, Sobb LLC. ▶ Boyett Enterprises LLC leased 10,208 square feet of industrial space at Arrowhead Commerce Center, Building 8, 3655 E. Patrick Lane, Suite 400 &500. Spencer Pinter, Dan Doherty, Chris Lane and Jerry Doty of Colliers International represented the landlord, KTR LV I LLC. ▶ Suncor Stainless Inc. leased 8,016 square feet of industrial space at Civic Center Corporate Park, 3896-3900 Civic Center Drive in North Las Vegas. Dan Doherty, Chris Lane and Jerry Doty of Colliers International represented the landlord, MCA Civic Center II LLC. ▶ ER Laser Productions Inc. leased 5,761 square feet of industrial space at Arrowhead Commerce Center, Building 5, 3595 E. Patrick Lane, Suite 300. Greg Pancirov, SIOR and Mike DeLew, SIOR of Colliers International represented the tenant. Spencer Pinter, Dan Doherty, Chris Lane and Jerry Doty of Colliers International represented the landlord, KTR LV I LLC. ▶ Sunrise Children’s Foundation leased 4,500 square feet of industrial space at Mojave Airport Center, 6255 S. Mojave Road, Suite D. Greg Pancirov of Colliers International represented the tenant. Mike Delew, Dean Willmore and Chelsy Cardin of Colliers International represented the landlord, Stockbridge Patrick and Mojave LLC. ▶ Block 9 Thai Street Eats leased 2,012 square feet of retail property at Retail Trails, 10595 Discovery Lane, Suite 5. Chris Clifford, Steve Neiger and Brett Rather of Colliers International represented the tenant. ▶ Art of Cooking LLC leased 1,954 square feet of retail space at 8480 W. Desert Inn Road. Scot Marker of Colliers International represented the landlord, 8480 Desert Inn LLC. ▶ United Enterprises Holdings LLC leased 1,200 square feet of retail space at Horizon Village Square, 55 E. Horizon Ridge Parkway, Suite 130 in Henderson. David Grant, Al Twainy and Amelia Hyden of Colliers International represented the landlord, Horizon Dorado LLC. ▶ Primavera Pizza leased 1,500 square feet of retail space at Las Vegas Hostel, 1322 Fremont St. Robert S Hatrak II represented both the tenant and the landlord, DT Commercial LLC. ▶ Porchlight Grille leased 1,237 square feet of office space at Lake Sahara Complex, 8687 W. Sahara Ave., Suite 150. Jody Lenzie of RE/MAX Advantage represented the tenant. Jakke Farley of Virtus Commercial represented the landlord, Nianjun Tang MD PC Retirement Trust. ▶ Sunrise Mountain Dental and Orthodontics LLC leased 3,643 square feet of retail space at Victory Village Shopping Center, 256 C E. Lake Mead Parkway in Henderson. Lisa Hauger of Sun Commercial represented the tenant. Jakke Farley of Virtus Commercial represented the landlord, Thorndike Properties Inc.
▶ Impact Taekwando LLC leased 1,150 square feet of retail space at Victory Village Shopping Center, 276 C E. Lake Mead Parkway in Henderson. Jakke Farley represented the landlord, Thorndike Properties Inc.
▶ Grouchy Johns Coffee leased 1,690 square feet of retail space at Charleston Festival, 6350 W. Charleston Blvd., Suite 110. Greg Clemens of Coldwell Banker represented the tenant. Robert S. Hatrak II represents the landlord, Charleston Festival Retail LLC. ▶ Aloha Charleston Inc. TENANT REP leased retail space at 4466 E. Charleston Blvd. Laramie Bracken of Gatski Commercial is represented the landlord, Tenaya Vegas Partners LP. ▶ iPhone Doctor LLC leased retail space at 4512 Charleston Blvd. Laramie Bracken of Gatski Commercial represented the landlord, Mer-Car Corp.
▶ Exotic Mobile Finishes leased industrial space at 4245 Post Road. John Son of Lee &Associates Orange represented the tenant. Stephen Spelman and John Maracich of Gatski Commercial represented the landlord, Top Lens Service USA LLC. ▶ Start Express Transportation LLC leased industrial space at 3565 Harmon, No. D. Zohar Robin of Ominterra Solutions represented the tenant. Gabe Telles, Ali Roesener and Sean Simon of Gatski Commercial represented the landlord, CVPropCo, LLC. ▶ AG European Auto Sales Inc. leased industrial space at 3200 Polaris Ave., No. 47, 48. Tom Wagener and Sean Simon of Gatski Commercial represented the landlord, Equus Business Center LP.